To address the problems related to breach of salary cap, it is require understanding the reason and forces causing these issues. 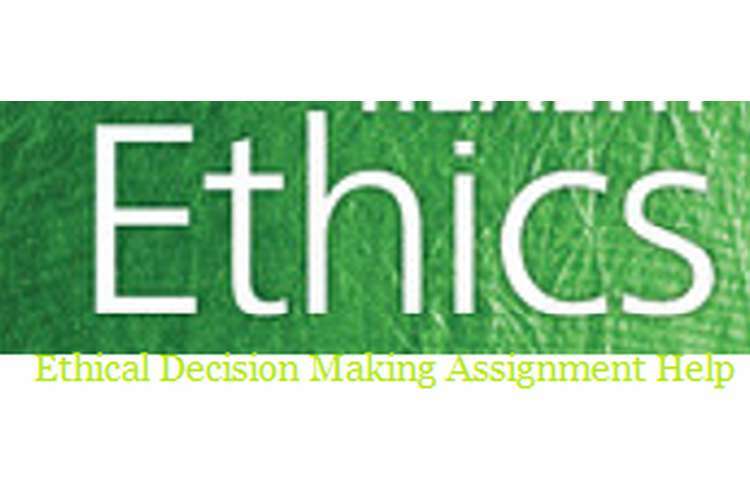 Ethical conduct is influenced by crucial factors such as moral awareness of the situation which raises ethical issues; determining the moral decision which is ethically right; identifying the moral intent which is of high priority and follow an ethical decision making. Every person differs in their ability to take ethical decision, moral judgment, identifying and analyzing moral issues and defining their moral value. People also vary in their ability to face pressure and stick to their commitment towards their moral value. Some people are over confident that their decisions are morally correct. This over-optimism may turn out to be morally or factually incorrect. But sometimes the external pressure or situation forces people to behave morally incorrect. In situations where a morally incorrect decision is beneficial for company and its employees, the company would ignore its moral verdict. Thus, organizations facing complex situations may undermine their ethical judgments. When a person has to choose between an immoral and moral act, it is termed as ethical dilemma. In this case, the company has pressure to perform and increase its revenue. This pressure causes firm to choose an easy way to solve problem without considering whether the decision is morally correct or not (Ruedy and Schweitzer, 2010). In this case, the membership of sporting club is dropping which in turn is reducing its revenue. The company is facing the problem to sustain in this competitive environment. Recruiting a new player may change the situation. But the remuneration of the new player is more than industry norms. The ethical dilemma is that recruiting new player at increased salary would breach the salary norms but it is essential for survival of organization. The governing body of the industry sets the maximum amount that can be paid to an employee as salary cap. A salary cap is fixed by the industry to ensure the financial fitness of the companies within industry and to maintain a fair competition among companies (Anderson and Anderson, 2014). In this case, the dilemma is whether to breach the salary cap for benefit of company or not. Dilemma is a situation where a person has to choose between mutually exclusive options. A dilemma could be right or wrong. It is not easy to solve a dilemma between right or wrong. But it is important to resolve the dilemma. It often conflict between moral and future benefit, in which choosing one way would lose the other. This make decision maker to think about their duties, obligations and responsibilities (Bagdasarov.et.al, 2013). Dilemma can be either right or wrong. It may be between two right choices. The issue is not whether the ethical dilemma is right or wrong. The point of concern is to resolve the issue. STEP II- (i) what are the implications and evaluation of action? (ii)Think cautiously about the series of positive and negative significances associated with each of the different paths of action available. (iii)Who/what will be helped by what is done? (iv)Who/what will be influenced? – What kinds of profits and problems are involved and what are their relative values? – What are the short-term and long- term consequences? (Woiceshyn, 2011). Option 1: my company is facing financial issue and sustainability. My company needs to do this to be able to compete and whatever it takes to win. Recruiting a new team or player may improve the position of my company. Then paying an increased salary than norm is a little cost. But there is a risk that company may get caught. In this decision, the reputation of my company is at stake. If not, the risk of losing more membership exists. Option 2: As a manager, I will abide by the salary cap rules. My Conscious does not allow cheating. I will inform company about the consequences if it gets caught. And recommend company to find an alternative solution to the problem. Option 3: I will warn company regarding future implications like if the competitors are aware of the incident, they may decide to take action against company. Other employees who are loyal to company and are devoting their services from a long time, may take it as injustice if the new players are paid more than norms. Option 4: company can engage the new players through third party. The third party may take the responsibility and obligations of payments to the new player. In this way, company would transfer the risk to third party. STEP III- Make decision and act with commitment: I will choose the option 2 and will abide by the salary cap rules and inform my company about the consequences if it gets caught. STEP IV- evaluate the system: What my company is doing is ethically wrong. Even if the company is facing sustainability issue, it has no right to capitalize on the same. This would put the reputation of my company at stake. The company should review more alternatives to retain the membership or it should negotiate with new players regarding their remuneration confronting them with the salary cap rules (Stenmark and Mumford, 2011). Thus, as the manager of food and beverage manager, I believe that a situation of company facing problem of sustainability is not a good enough reason to breach the salary cap rules. Additionally, this decision puts the reputation of company at stake. Thus, in this situation I will take the initiative to inform the company regarding the implications of their decision of recruiting the new player at an unexpected salary. Every employee in an organization face situation of ethical dilemma, at some point of time and it is important for employees to know how to resolve such a situation. This increases the ability of an employee of effective decision making. The first step is to determine and identify the ethical issue, dilemma and principles involved in the issue. Then, developing the alternate action plan and determining the implications of each. Choosing one alternative which fits best to the situation and remaining committed to it (McAuliffe, 2012). Implementing and evaluating the decision take. The approach in resolving ethical dilemma is to focus on future implications of decision and on the practical actions involved in the decision. There are no set rules or written document with company to deal with ethical dilemma (Shapiro and Stefkovich, 2016). The employees must think about a way to solve the ethical dilemma. The individual must question himself that whether the company’s business policy or decision is ethical. In this case also, there are four options suggested to resolve the ethical dilemma. There is no set rule to select which one is the best solution to the problem or define which option is correct or incorrect. The point of concern is to resolve the ethical dilemma.